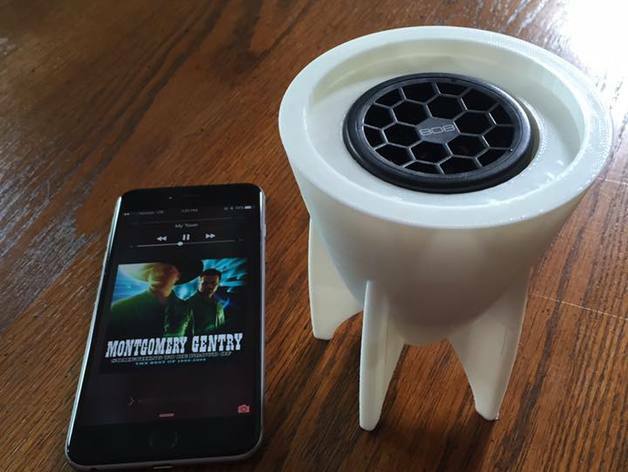 Bluetooth Speaker is the bomb #3Dprinting #3DThursday « Adafruit Industries – Makers, hackers, artists, designers and engineers! Transform your average small bluetooth speaker into one with an awesome bomb shell shaped housing! Or if you don’t have a bluetooth speaker, you can pick up this one or one similar for $10 at most stores which sell bluetooth speakers.